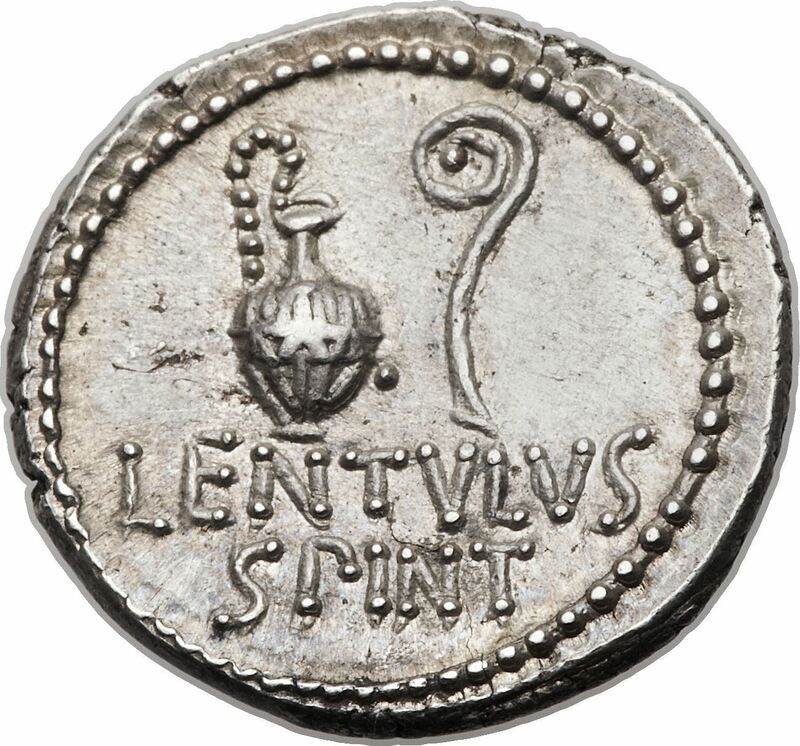 L. Cornelius Lentulus Spinther was one of the moneyers for the year 43-42 BC. He served as Quaestor in 44 BC. He struck a series of issues jointly with C. Cassius Longinus and M. Junius Brutus. The cognomen Lentulus probably belongs to a class of surnames deriving from the habits or qualities of the persons to whom they were first applied; the adjective lentulus means "rather slow". An alternative explanation is that the name is a diminutive of lens, a lentil, and so belongs to the same class of surnames as Cicero, a chickpea, and Caepio, an onion. The Cornelii Lentuli were famed for their pride and haughtiness, so that Cicero uses Lentulitas, "Lentulusness", to describe the most aristocratic of the patricians.